Insurtech on the Silicon Prairie is a one day insurtech event bringing national experts, companies and regulators to Nebraska for a one-of-a-kind conference focused on the rapidly changing insurance landscape and technology. Speakers and panelists will cover a range of insurtech topics and perspectives including blockchain, regtech, insurtech trends, startups, use of insurtech to improve operations, insurtech regulation and insurtech investing. Insurtech on the Silicon Prairie is organized by the Nebraska Department of Insurance and the Nebraska Insurance Federation. We believe in fostering a better understanding in the rapidly changing world of insurtech, and are happy to host this event. As one of the leading insurance hubs in the United States with over 110 domestic insurance companies, Nebraska ranks #2 in the nation in domestic surplus (over $205 billion), and #3 in the nation in domestic assets (over $650 billion). The Nebraska Insurance Federation’s mission is to promote a strong business climate for the insurance industry in the State of Nebraska, assuring jobs and a competitive market for Nebraska families. The Federation pursues this mission by advocating the industry’s positions on critical issues. Our members are Nebraska-based companies who sell all lines of insurance: property-casualty, life, health, title and worker’s compensation. The insurance industry has a substantial impact on Nebraska--$14.24 Billion in 2015. This impact included $3.43 Billion in labor income, supporting approximately 59,700 jobs in our state. The Federation is also pleased to support scholarships to Actuarial Science majors through the University of Nebraska Foundation. The Holland Performing Arts Center offers sleek urban modernism inside and out. With bold design and finely engineered acoustics, this performing arts center is among the best in the country. The Holland Center offers spectacular views of downtown Omaha, an intimate atmosphere for patrons and a home for world-class artistry. For more information about our venue, click here. Weren’t able to make it to last year’s conference? Don’t worry, we’ve got you covered. Click the link below to access the panels and speakers from our conference. Enjoy! Founded in 1854, the city of Omaha has always been a dynamic, energetic city continually transforming itself. Whether it was the Native American Indian tribes, pioneers, railroad laborers or meat packers, everyone who came to call Omaha home helped shape its current cultural diversity, hard work ethic, and friendly demeanor. Named after an American Indian Tribe, Omaha means "Those going against the wind or current", Omahans proudly continue to live up to the name. In recent years, the Omaha riverfront and downtown area have experienced tremendous growth with over two billion dollars in new development. A one-of-a-kind $22 million pedestrian bridge S-curves its way across the Missouri River, the signature, cable-stayed Bob Kerrey Bridge is one of the longest pedestrian bridge projects ever constructed, giving Omaha visitors a breathtaking view of the ever-changing skyline. To learn more about Omaha, click here. We will be offering a room block hold for both the Courtyard Omaha Downtown and Hilton Garden Inn Omaha Downtown. 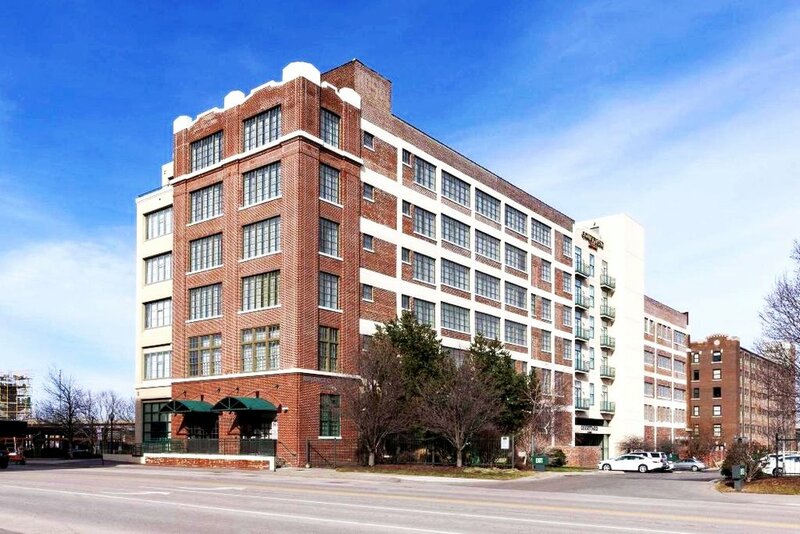 Both of these hotels are nestled in the heart of Downtown Omaha and just a block from the popular Old Market District, home to many great restaurants, art galleries and upscale shopping. Click here to find out more about Omaha’s Old Market District.